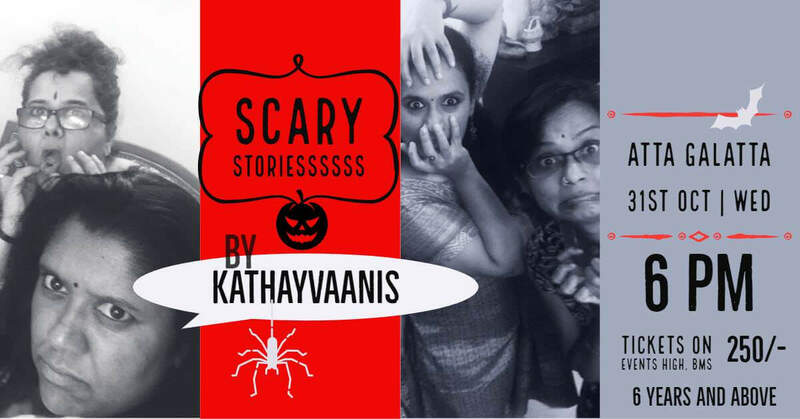 Here’s our pick of hair-raising Halloween events in Bangalore. Get out those costumes and prepare to spook your friends this season! Halloween events for October, 2018 are here, kids! Brace yourselves for some hair-raising events that will give you the spooks and creeps. Get dressed in your Halloween best and make your way to some bewitching storytelling sessions, fashion show, eerie kiddie parties and a camp out in the wilderness for the ones who really dare! If you’re ready to skip the tricks and dig into the treats, then there are some indulgent brunches and dinners that are perfect for this season! So, pick your scariest costume and choose from these amazing Halloween events happening across town. You’ll need to cling onto your loved ones this time folks! Have you got your Halloween costumes yet? You can make your own! Make your own costumes this Halloween! What about some spooky face paint? Oh, did you know that you can make a bowl of strawberry juice and pass it off as a scary drink? And what about the DIY enthusiasts? You should totally check out this easy craft and take it along to those parties! Craft your own trick-or-treat bag at home! 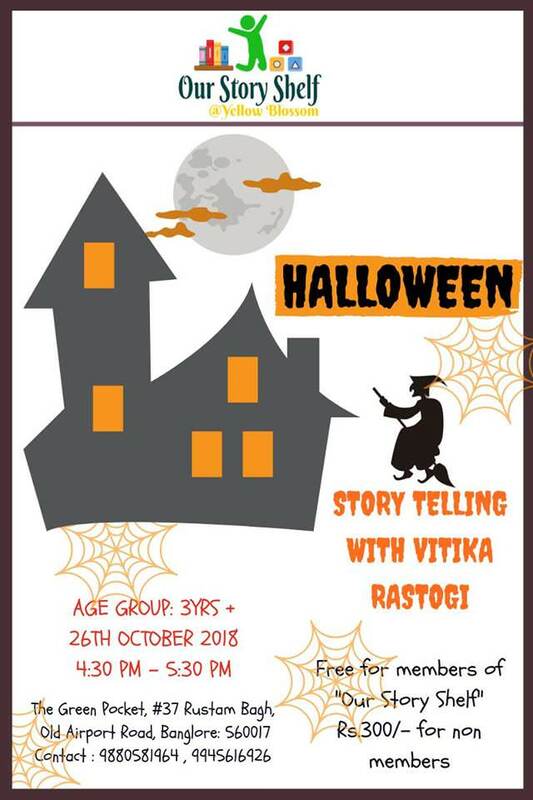 1 Spooky Halloween Storytelling Session! 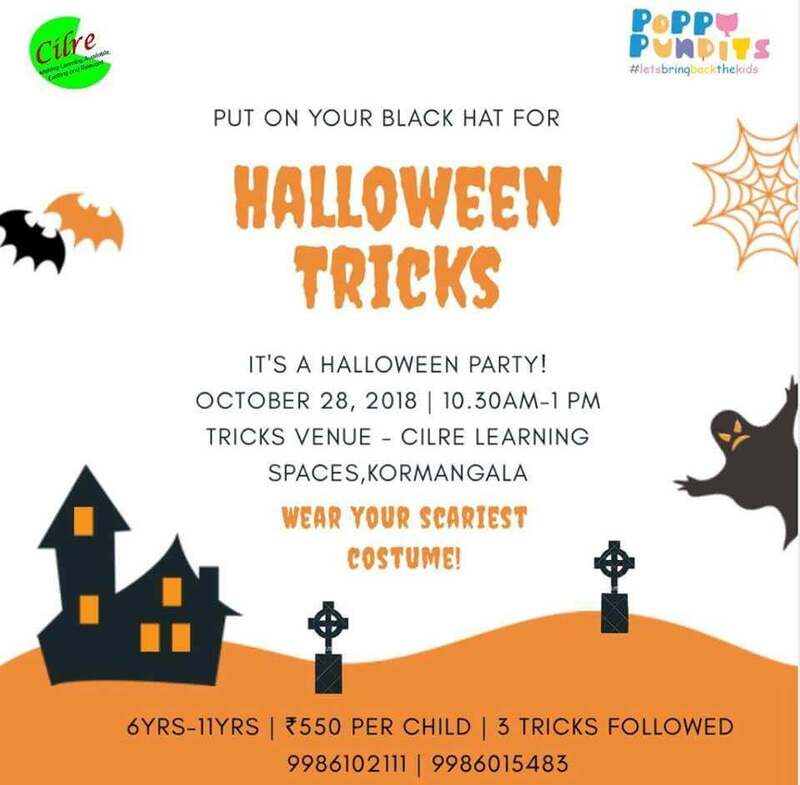 Vitika Rastogi is looking to have some Halloween fun with kids! Get spooked with stories, craft and so much more. Come dressed as your favourite character! 2 Get your spook on! 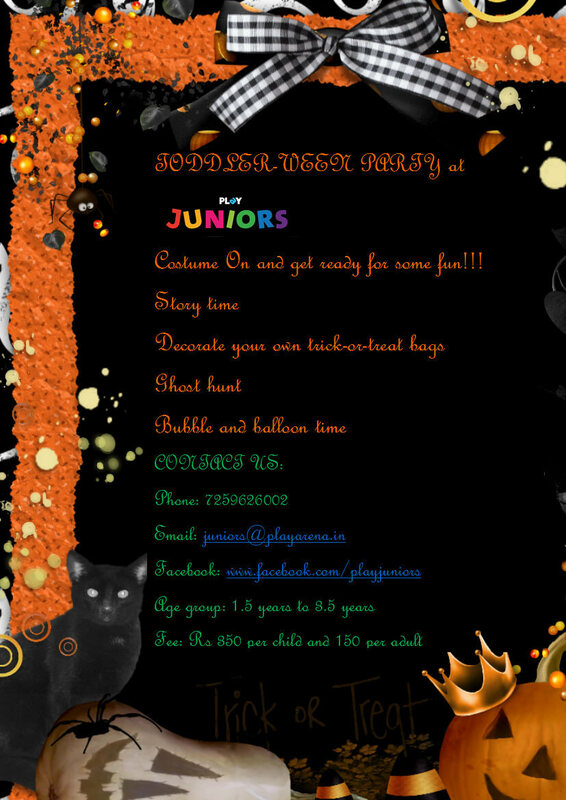 Join the good folks at Play Juniors for some Halloween fun for toddlers! Get dressed in your Halloween best for story time, ghost hunt, bubble and balloon time and decorate your own trick or treat bags! 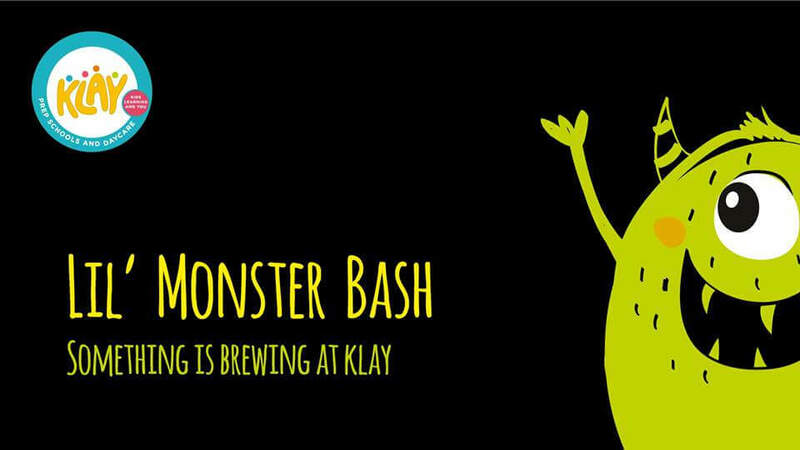 Klay is hosting the Lil Monster Bash this weekend. Come dressed in your scariest costumes for a day of spooky, creepy fun! Enjoy the pumpkin patch photo booth, tattoos, jack-o-lantern, trick or treat, freeze dance, monster shuffle and more! Are you ready to party with many Ghosts and Witches? 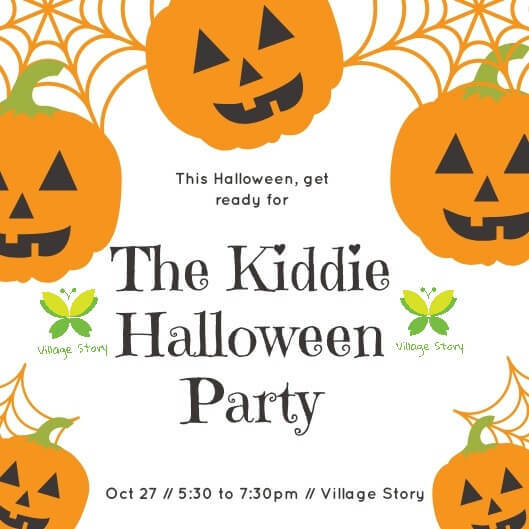 The Village Story is hosting a Kiddie Halloween Party on October 27th. Come dressed in the most scary Halloween costume and be part of the most spooky and mysterious celebrations. 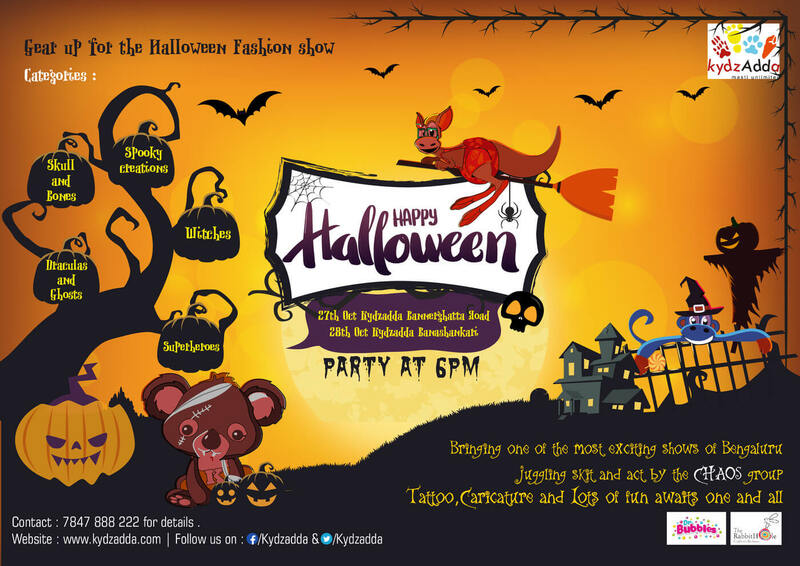 KydzAdda is hosting the biggest Halloween Party! Come dressed in your spookiest best for their Halloween Fashion Show! The categories for the fashion show are: draculas and ghosts, witches, superheroes, skulls and bones and spooky creations. Gear up for some fantastic shows by the CHAOS group and lots of fun with caricature, tattoo artists, photo booths and more. 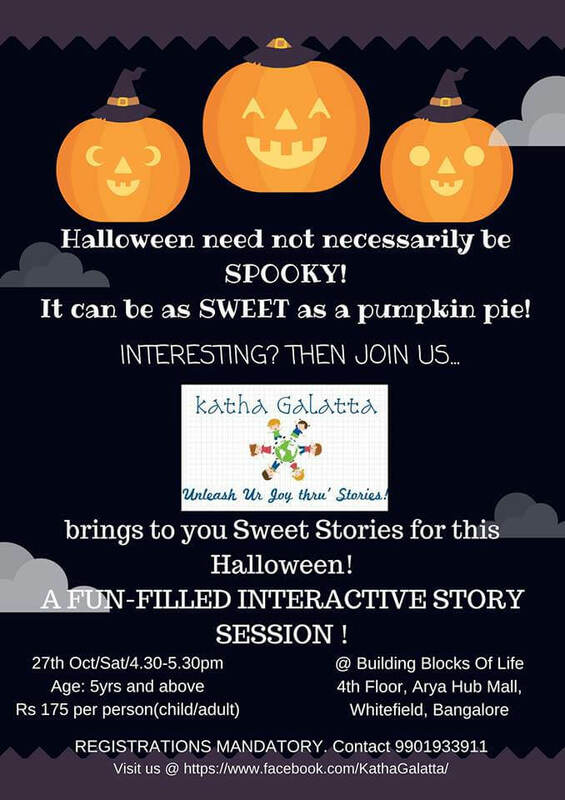 Katha Galatta brings to you the sweet stories of the season! Come dressed as your favourite character for this Halloween event and find out what the witch is up to! Enjoy a sweet and different Halloween at this interactive party! 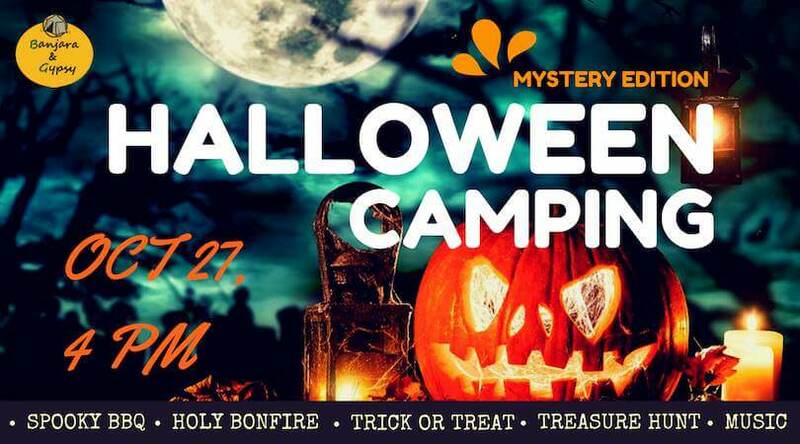 Have you ever heard of a haunted treasure hunt and a camping experience rolled into one? Well this is one party you surely don't want to miss! 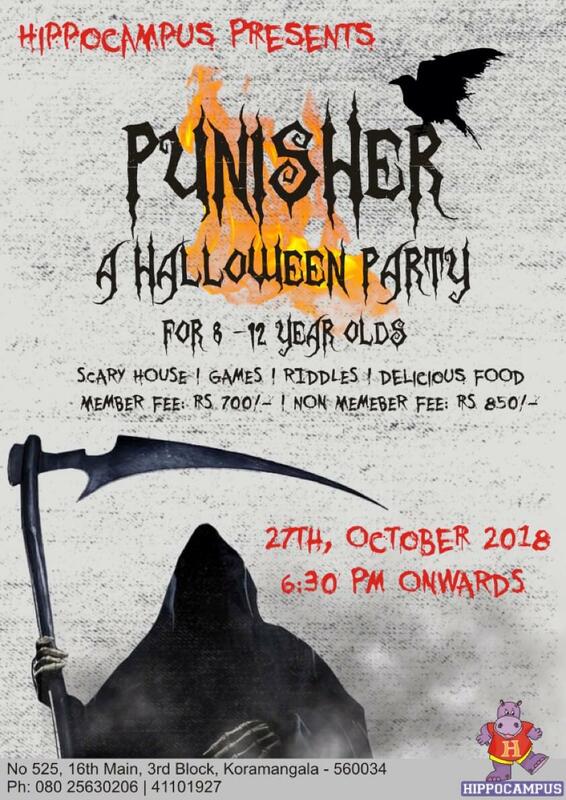 The Hippocampus brings to you the “Punisher – A Halloween Party” for kids. Come and get spooked at the scary house, eerie games and riddles and some delicious treats! There’s no party like a Halloween party! This Halloween, listen to some special stories about bats, spiders, witches and more! The Dialogues Cafe is hosting a story time party so come and witness the magic! 10 Get spooked at this party! 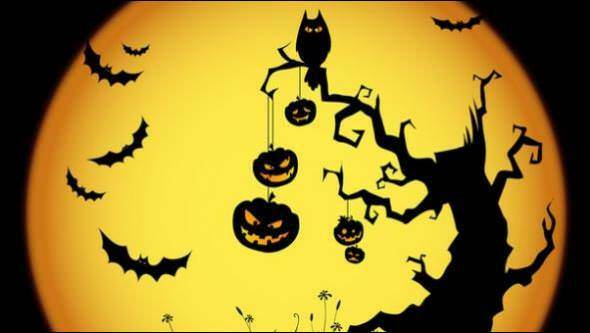 Get your spook on for this trick or treat bash at The Little Gym! 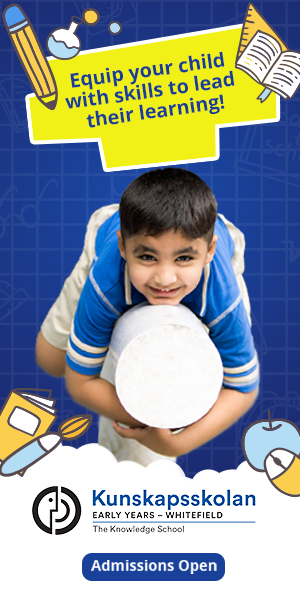 From exciting prizes, games to spine tingling good food, this party promises to be a memorable one for the kids! 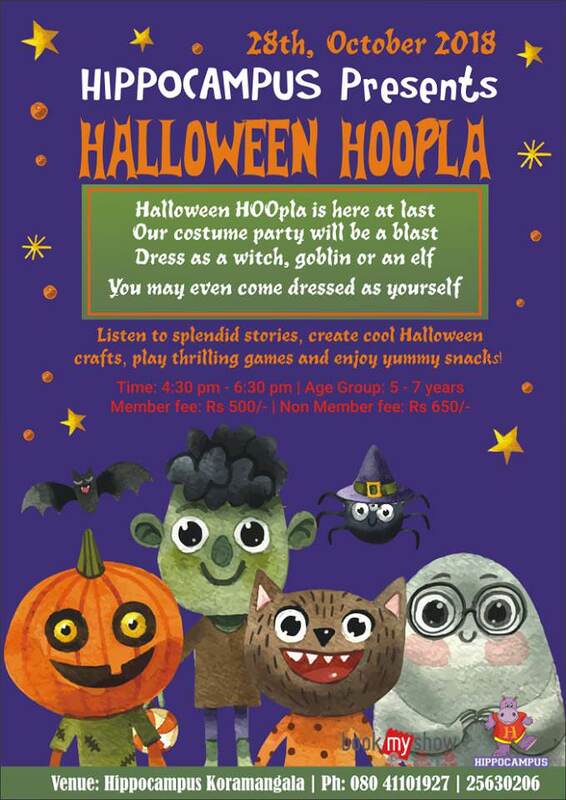 Hippocampus Library brings to you Halloween hoopla, a costume party where kids will have a blast. Come dressed up as a witch, goblin, an elf or dressed even as yourself. Listen to splendid stories, get creative with Halloween crafts, play thrilling games and enjoy delicious snacks. 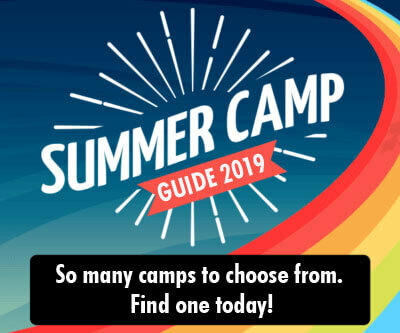 Register soon and do not miss this fun event! Toscano’s brings to you its Annual Sinister Halloween Brunch in Whitefield on 28thOctober with unlimited options of festive treats. 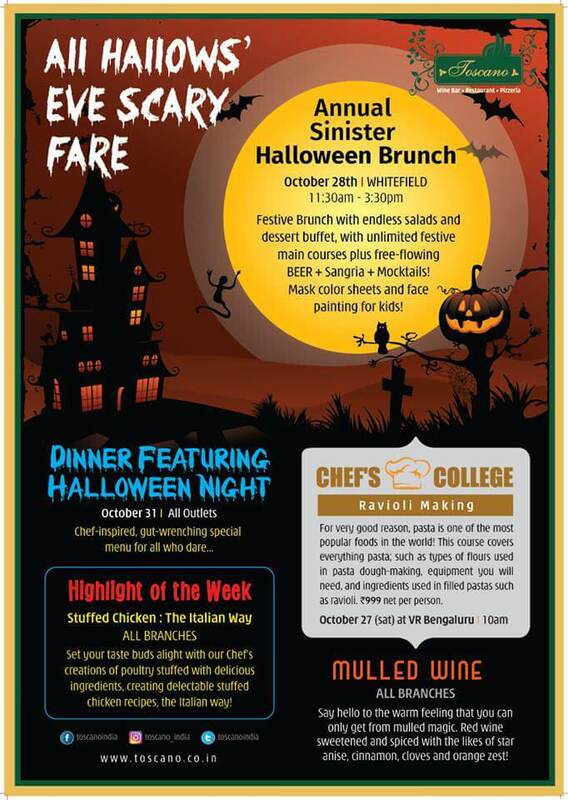 Come by any of the branches on 31stOctober for a chef-inspired, gut-wrenching special menu if you dare! Atta Galatta brings to you a magical evening of hair-raising, rib-tickling stories of rainy nights and all things that give you a fright! You will cling onto your loved ones, laugh at the silliness and have so much fun! This interactive, experiential evening of scary tales for Halloween is not to be missed. 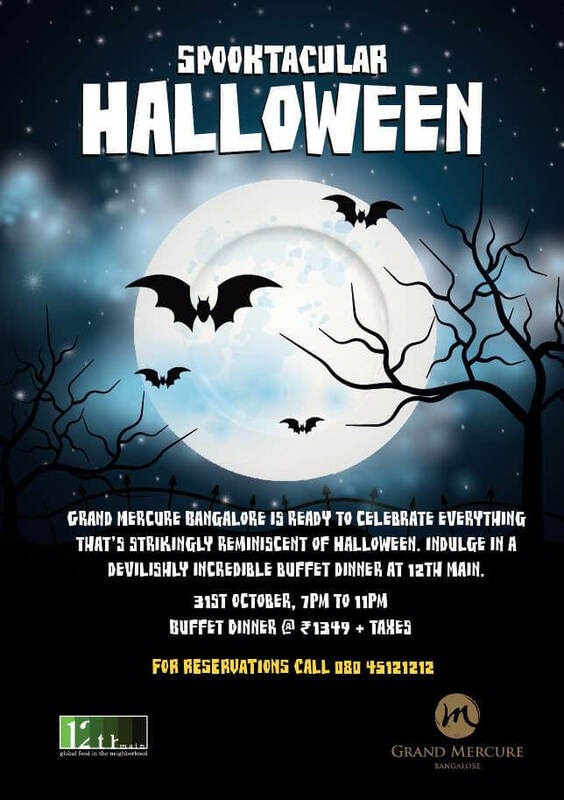 The Grand Mercure brings to you a Spooktacular Halloween Dinner to celebrate everything that’s strikingly reminiscent of Halloween! This devilishly incredible buffet dinner is sure to please everyone in the family! At Cilre, there’s a fantastic Halloween bash happening this weekend! Get dressed up, learn some tricks and go on a fancy costume parade with all your friends! There’s so much fun to be had this festive season! DIY Halloween decoration you have to try!